“Windows found driver software for your device but encountered an error while attempting to install it. 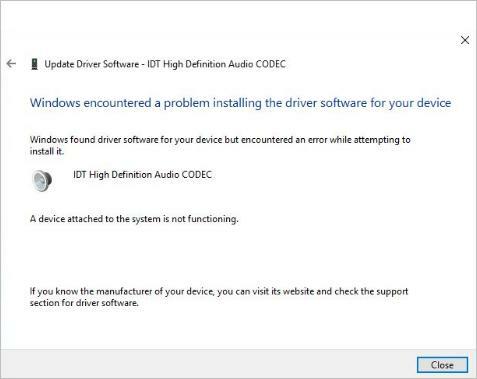 If you meet this problem while installing IDT High Definition Audio CODEC driver, just use the two solutions below, then the driver will be installed correctly. 1. In Device Manager, expand category “Sound, video and game controllers”. 2. 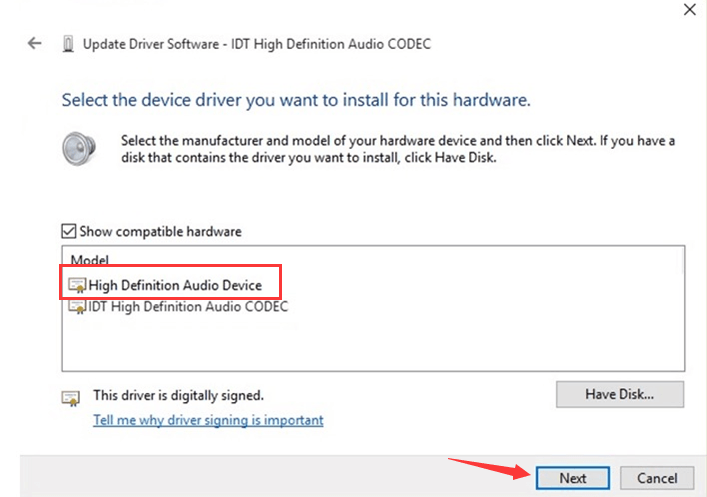 Right-click on IDT High Definition Audio CODEC and click Update Driver Software… on the context menu. 3. Click on Browse my computer for driver software. 4. 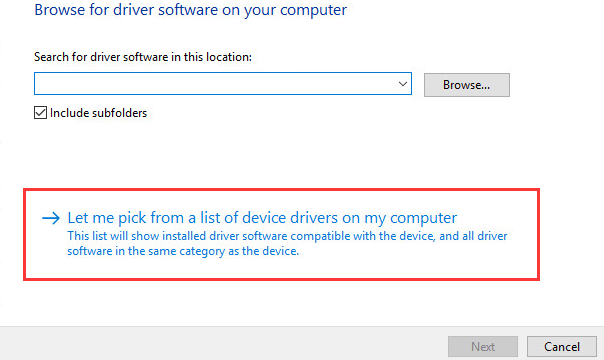 Click on Let me pickup a list of device drivers on my computer. 5. Select High Definition Audio Device (Not IDT High Definition Audio CODEC) and click Next button. An warning message might pop up, just click Yes button. 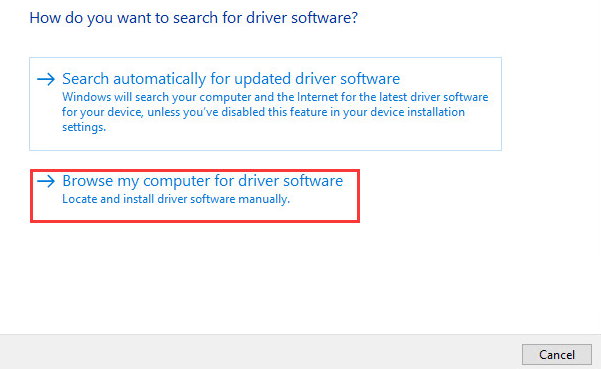 Then the driver will be installed successfully. This solution should fix the problem. If not, proceed to Solution 2. 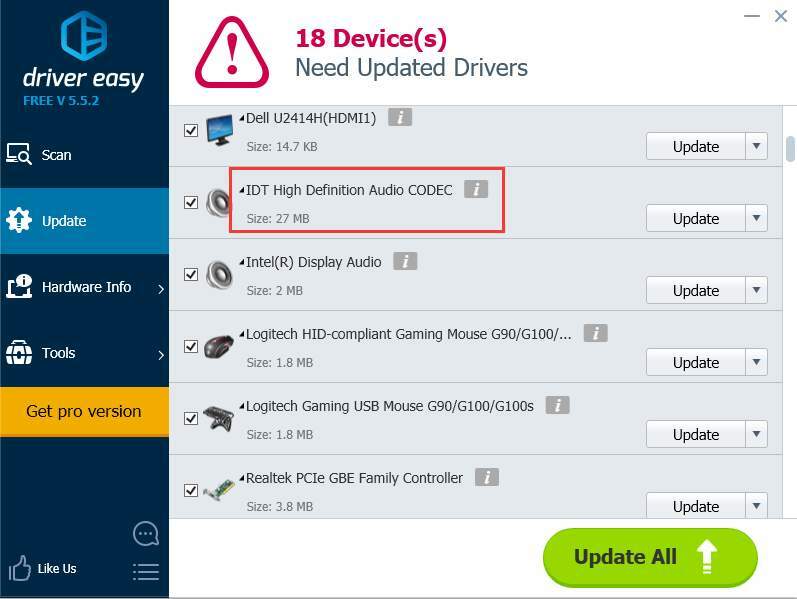 The steps above may resolve the IDT High Definition Audio CODEC driver problem, but if they don’t, or you’re not confident playing around with drivers manually, you can do it automatically with Driver Easy. 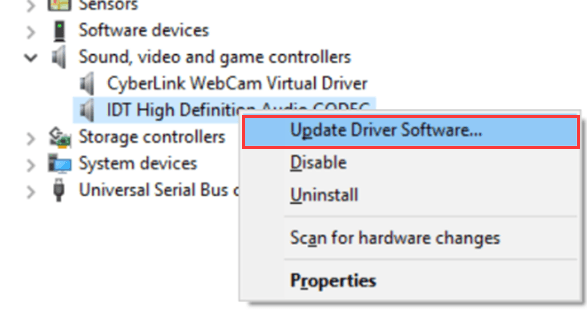 3) Click the Update button next to the IDT high definition audio driver to automatically download and install the correct version of this driver (you can do this with the FREE version). 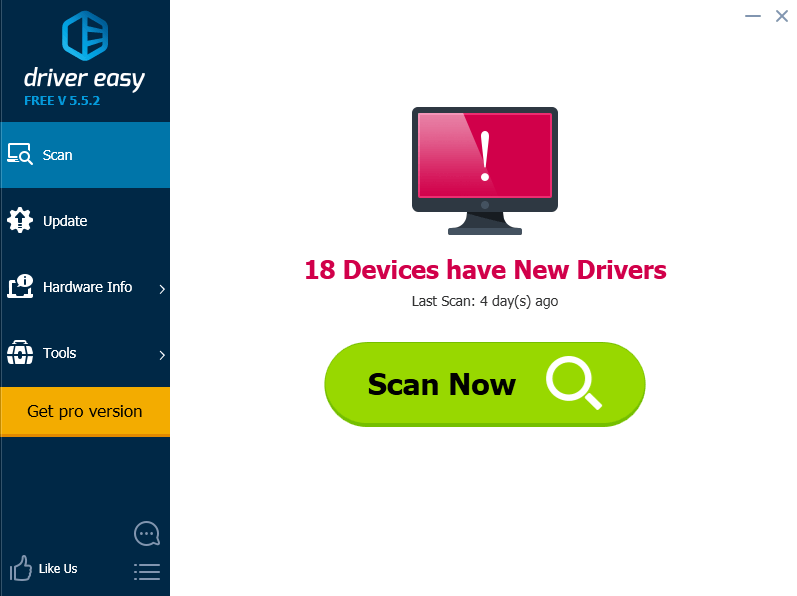 Or click Update All to automatically download and install the correct version of all the drivers that are missing or out of date on your system (this requires the Pro version – you’ll be prompted to upgrade when you click Update All).